In this technological age social media has been at the root of everything. It has gone far beyond an outlet for selfies and a glorified diary platform. Social networking has changed the way we communicate, do business, get our daily news fix and so much more. But is it really all it’s cracked up to be? Let’s explore the positive and negative sides of social media. Ability to connect to other people all over the world. Social media expands the audiences we are able to reach at our fingertips. It is free and easily accessible to anyone with a smart phone or internet access allowing you to reach people from anywhere at anytime. For example, I studied abroad in Rome, Italy in the Fall 2018 semester. I did not know anyone else in the program going so I met so many new people from all over not just the United States but local Italians and Europeans. Now that I am back in the states social media is a strong platform that allows us to stay connected from such distances. Before such technological advances it would be extremely difficult to stay in touch with friends on the complete other side of the country or across oceans on a such a regular basis. Additionally, platforms like Facebook can be used to stay in touch with high school friends when you have now spread all over the country for college or other endeavors. Personally I use Facebook primarily to keep my relatives updated who I don’t see very regularly, just holidays if even. Easy and instant communication. Social networking allows us to communicate on the go, at the touch of a couple buttons You don’t even have to remember people’s phone numbers anymore. We can simply open up our laptops or pick up our smartphones and immediately start communicating with anyone on platforms like Twitter or one of the many social messaging apps available. iMessage shows when messages are delivered, and even if the person has read the message if the settings are turned on. On the social media platforms like Instagram and Twitter with the touch a button you can post a photo, video, or tweet out to the public eye (your followers or anyone depending of privacy settings) to see, comment on, and like. Real-time news and information. The days of waiting around for the six o’clock news to come on TV or waiting for a delivery boy to bring the newspaper in the morning are a thing of the past. Now if you want to know what is going on in the world all you need to do is jump on social media. You can even customize the news and information you want to see on your feeds by following particular accounts or liking certain pages and content. You also see your friends’ and followers’ posts in real-time and vice versa. This is great to enable you to keep friends and family updated from anywhere, and saves you time by allowing everyone to see it one single post. You no longer have to go out of your way to send the same picture a dozen times, now just one click and everybody is in the loop. Back to when I studied abroad, it was hard to talk to all my friends and family every single day. However, they always knew what I was up to or what new country I was out exploring that weekend by my regular posts. It made it so easy for everyone to still feel connected even if we were not formally talking each and every day. Business and marketing. 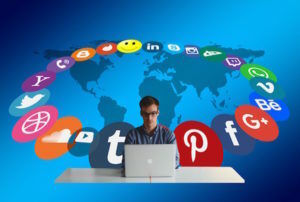 Business owners and other types of professional organizations can connect with current customers, sell their products and expand their reach using social media. Social media gives people the opportunity to self promote and start their own small businesses. Creating aesthetically pleasing profiles helps promote brands an draw in customers. Social media also allows business to communicate directly with its customers and get instant feedback. There are actually lots of entrepreneurs and businesses out there that thrive almost entirely on social networks and wouldn’t even be able to operate without it. Personal use and entertainment. There does not always need to be a reason or justification for things or actions; sometimes, frankly we’r e just bored and don’t have anything better to preoccupy our time or well it’s just entertaining. A lot of people turn to it when they need a break while working on something or just want to relax at home. After a long day of classes or work sometimes you just need a mindless activity, and that’s where social media comes into play. When I am working on an assignment for too long I get restless and lose focus. Mental breaks are not a want they are a need. And, almost subconsciously, I reach right for my phone and scroll through every social media platform until I literally run out of things to looks. But then I realize that it just turned into an hour long form of procrastination and I ended up on some random video collage of the cute fluffy animals and have to give myself a pep talk like, “Ok Mal, time to get your life together again, refocus, and get work done so there’s more time for cute pups.” It’s an endless cycle really, but it’s okay we all do it. Information overload. With so many people now on social media tweeting links, videos, news articles, and opinions it can become information overload with so much to take in. Becoming overwhelmed by too many Facebook friends to keep up with or too many Instagram photos to browse through isn’t all that uncommon. Asking people to follow you on social media has replaced asking for their numbers to an extent, when people meet at parties and other social gatherings. Due to this, it is easy to gain a rather large following that clouds your feeds. There is a lot to see and with social media constantly changing the organization of feeds from chronological order (can we all agree this is the best and only logical way to do things?!!) to what they think you would be interested (and they are usually wrong ugh!!) it becomes very easy to miss out on content or keep track of it. Also with all this information, it is hard to decipher which information you are reading is true or inaccurate. Fake news is becoming a big problem through social media and it can be truly hard to differentiate the facts from the fabrications. People can post pretty much anything they want on social media, and not everything gets fact checked. As the saying goes, you can’t believe everything you read on the internet! Privacy issues. With so much sharing going on, privacy settings don’t always cut it. 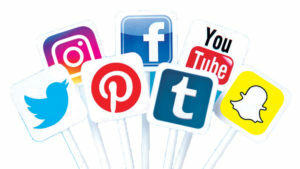 Whether it’s a question of social sites owning your content after it’s posted, becoming a target after sharing your geographical location online, or even getting in trouble at work after tweeting something inappropriate – sharing too much with the public can open up all sorts of problems that sometimes can’t ever be undone. Even if you keep all of your accounts on private, your posts can still get into the wrong hands. People who do follow you can screenshot a picture, tweet, or something else you share and send it to anyone they know. Social media could get you in a lot of trouble in the professional world if you are not careful of what you post. Internet cookies also track our internet patterns and effect how internet and social media experience. Ever notice how advertisements creepily replicate your last search? Internet cookies. Privacy is threatened on so many levels when we expose ourselves on social media and put our information out there. A good way to protect yourself, well, don’t post anything you wouldn’t want your parents or grandparents seeing. Social peer pressure and cyber bullying. For people struggling to fit in with their peers, the pressure to meet a certain standard or match the luxurious quality posts of others. 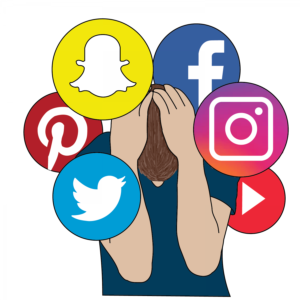 In some extreme cases, the overwhelming pressure to fit in with everyone posting on social media or becoming the target of a cyberbullying attack can lead to serious stress, anxiety and even depression. Personally, I post pictures that I consider to be “the best” I have to over to put out there on the internet. I post things that reflect the best of my life and portray me in a positive light. This is very common for social media users, and this is what is often forgotten or overlooked. You never know what is going on with someone behind the screen. Social media can create this imaginary competition field of who looks like they’re living the best life or who can post the coolest pictures. Online interaction replacing face-to-face relationships. Can “followers” and “friends” be used interchangeably? Since people are now connected all the time and you can pull up a friend’s social profile with a click of your mouse or a tap of your smartphone, it’s a lot easier to use online interaction as a replacement for face-to-face interaction. This leads to the debate of whether or not social media actually promotes antisocial human behavior and interaction. I have 1,744 followers on Instagram. I see the pictures and videos people post and through their content I can tell you a decent amount about my follower’s lives… from what I perceive. But, how much do you really know about your followers? Social media can lead to artificial relationships. You know the basics of your followers but it doesn’t always lead to the same level of deep and personal connection that in person relationships lead to. I can attest that I certainly do not know each of my followers individually, some I honestly don’t know if I’d recognize them in person and if I do, even a simple “hey” is not guaranteed in passing. Distraction and procrastination. How often do you see someone look at their phone? How often do you look at your phone? 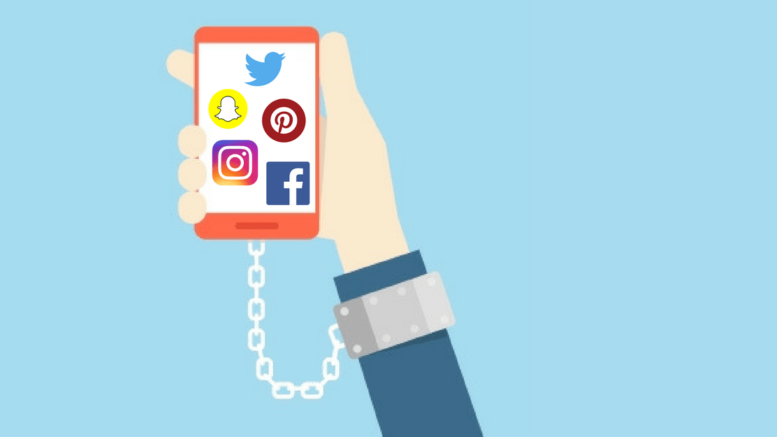 It is so easy to fall victim of relentless social media browsing, leading to all sorts of problems like distracted driving or the lack of gaining someone’s full attention during a conversation. Browsing social media can also feed procrastination habits and become something people turn to in order to avoid certain tasks or responsibilities. I end up watching animal or food videos for hours on Facebook than wonder where the went or why I’m suddenly on such a rushed timeline to get an assignment done. It is such a mindless distraction that we don’t even realize we’re doing it until after the fact. So… what should you take from all this? There are always going to be cons to something, social media is not alone in this. There are many positive uses for social media and it genuinely does allow us to connect with a broader range of people instantly. It is honestly amazing the things we can now do from the palm of our hands. But with such power comes great responsibility. It is important to be aware of the negatives of social media usage so you can be aware of your own behaviors and avoid them. You don’t have to abandon your social media, just rethink how you use and don’t let it take over your life. It is great to connect to so many people, but don’t place your phone ahead of the people right in front of you. Mallory DelMauro is majoring in Elementary Education, Writing Arts, and American Studies. She spent a semester studying abroad in Rome, Italy. Mallory is never without a coffee in hand and loves animals, running, hiking, and going on adventures.